As far as insurance goes, homeowner’s insurance is extremely necessary these days. Given the current unpredictable weather conditions and the chance of hazards while you are away from home on personal or official work, having homeowner’s insurance can be a great thing. To many people, homeowner’s insurance is unnecessary. This is because they consider it as more of an unnecessary expense. However, one should not be looking at it in this way. After all, the amount that you pay every month as home insurance premium is a very reasonable one. In return you get valuable protection. Those who secure a home mortgage generally have to secure a homeowner’s insurance as part of the mortgage process. The lender generally requires this. With this policy, one’s house is covered for all basic accidents. – Coverage for losses due to damages to your home’s structure — Any damages to the structure of the house will be covered by the homeowner’s insurance. This includes damages caused by lightning, fire, hailstorm, snow storm, theft, vandalism, and leaks from the plumbing, as well as frozen plumbing. – Coverage for losses on personal belongings — Home insurance will provide coverage for the loss of personal belongings. This would comprise TVs, furniture, bathroom fittings and the like. This coverage usually ranges from 50% to 75% of your home’s structure coverage. – Provides for temporary living expenses — In the event that your home is damaged and is getting repaired, you might need to temporarily live elsewhere. If such a thing did happen, you could rest assured that the accommodation expenses that you incur would be paid for by the policy. – Provides for Personal Liability Coverage – If someone who visited you happened to have an accident in your home, where you were an inadvertent cause, he may sue you for damages. Most standard home insurance policies take it upon themselves to pay these legal fees. Home insurance policy types are denoted as HO-1, HO-2, HO-3, HO-4, HO-5, HO-6, and HO-8. HO-3 is the one most opted for. It offer comprehensive coverage and is closely followed by HO-4. HO-5, HO-6, are for condominium owners and HO-8 is for older homes. 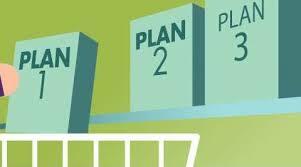 HO-1, HO-2 offers limited coverage. Yet, before finalizing a deal, make sure you read the fine print carefully. Check how all the terms and conditions would apply in the event of a claim? After you take up a homeowner’s insurance policy, check up on the coverage offered by the insurance company. Keep up with all the latest updates. Based on this, insurance companies would either add something new or make modifications on the coverage that they offer. 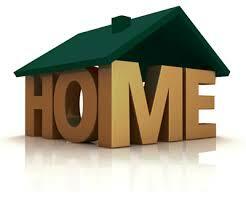 Home insurance is not something that is only applicable to homeowners. People in rented homes, for instance, can avail of a renter’s insurance policy. This form of home insurance offers coverage for damages to personal belongings. One thing to note about the different home insurance policy types is that most of them do not provide coverage for damages caused by hurricanes, floods and earthquakes. Natural disaster coverage is available only with a limited number of dealers. You would have to apply specifically to them.